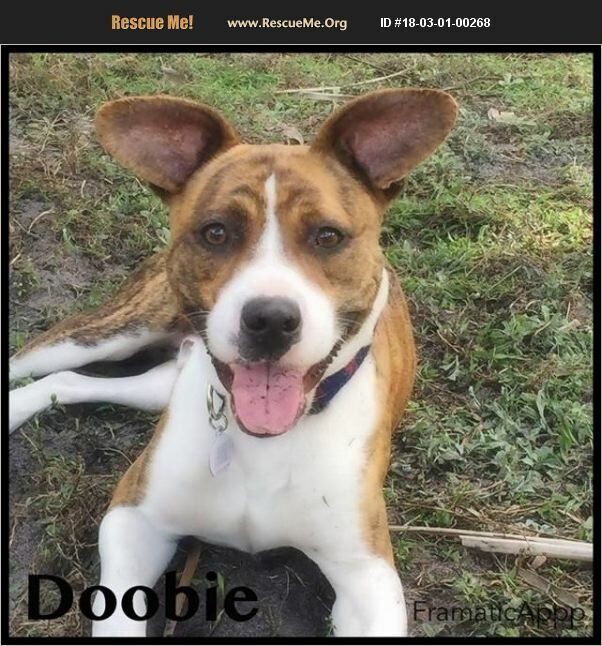 I'm Doobie! I'm a handsome brindle and white mix boxer mix, born July 2017 and weigh 50lbs. I'm a happy pup who loves to play with my dog friends or toys and go for long walks. I'm a lover boy who will give you lots of kisses. Sleeping in my crate is fine with me and I enjoy sunbathing. I have a lot of energy so a home with a fenced in yard and someone to exercise me frequently would be best. I like meeting new people but I will bark at the doorbell or someone knocking. Car rides are my favorite, so take me for a ride and I'm the happiest boy ever! If anyone would like to give this adorable pup his forever home, please download an application through: PAWPATROLANIMALRESCUE.COM All who wish to adopt from PPARAS MUST fill out an application. APPLICATIONS ARE SUBJECT TO APPROVAL. Reference checks & home visits will be conducted.